This is a call to you! 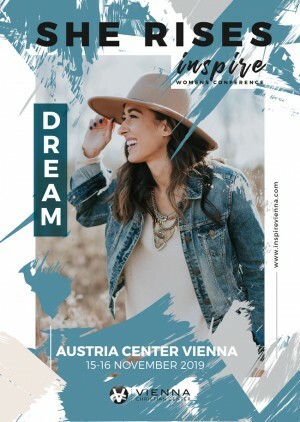 Come join us in Vienna for INSPIRE 2019. Our 2018 Conference was phenomenal! We know that we come from many countries, speak many different languages, are different in ages and life seasons but together we INSPIRE each other towards greatness. You see there is greatness within you. Within YOU! We believe it! God declares it! Greatness to accomplish all you were designed to be. You can rise from your past, rise from your insecurities and soar to live a wonderful life. Come join us and let’s experience the power of God among us as women. Let’s gather like never before girls and make history for the sisterhood! Language: Conference will be done bilingual from the platform in English/German. Laguages in Headesets: Will be provided based on need. Please email us if you need an additional language. 2018 we offered Polish, Romanian, Spanish, Czech and Hungarian.